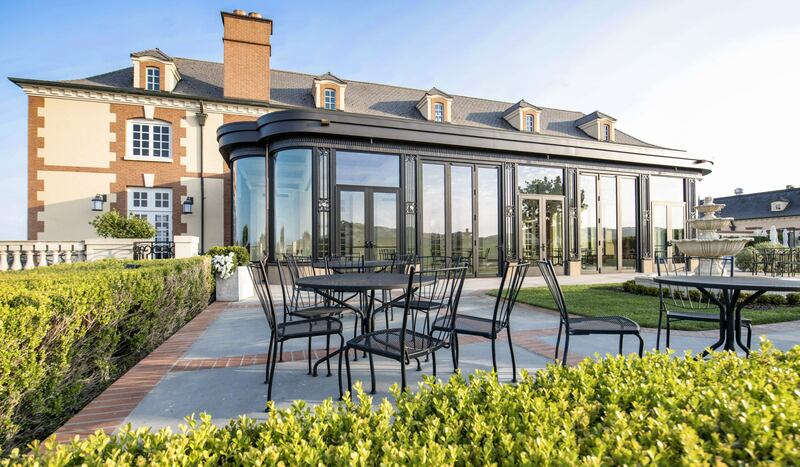 Domaine Carneros Pavilion, known as Jardin d’Hiver, is a garden conservatory that is fully glazed on three sides with two large sliding bi-fold doors and four double glazed front doors. Designed with French tradition in mind, it is a space that offers guests an opportunity to enjoy the terrace year-round. Two skylights in a coffered ceiling illuminate the room with natural light and imported accent tile from Lebanon creates the custom flooring design. 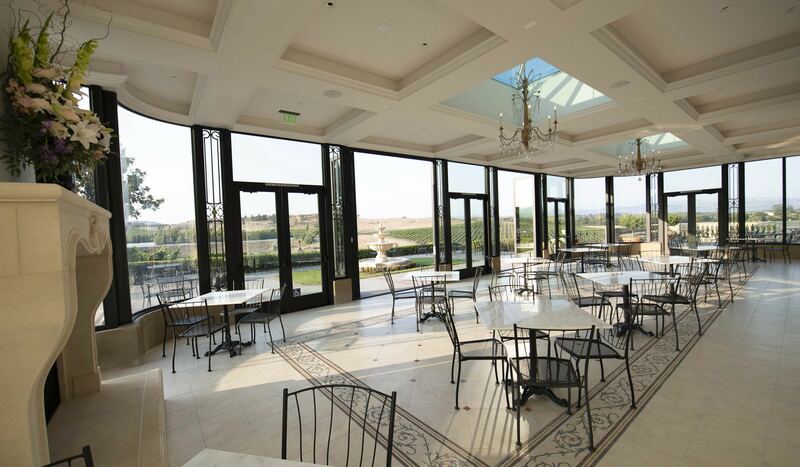 The light filled terrace room opens to a large, fully landscaped courtyard with a seven-foot water fountain and breathtaking vineyard views. 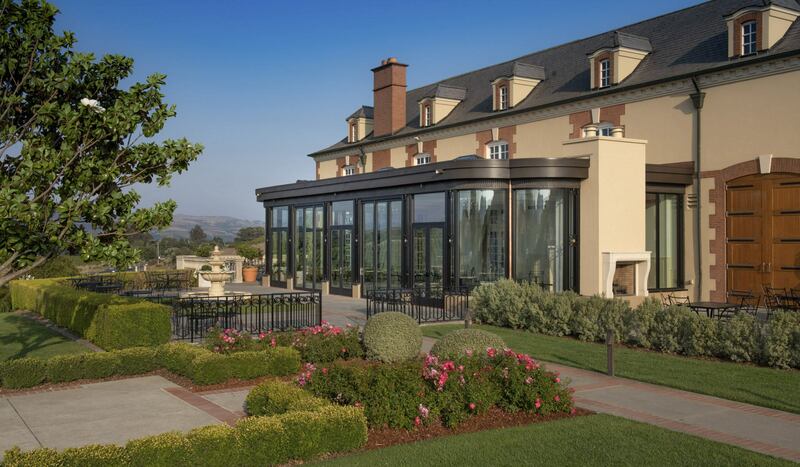 Interior and exterior fireplaces placed back to back add both warmth and ambiance to the wonderful atmosphere where guests can savor the wine and take in the beautiful Wine Country scenery.